The human body slowly declines its functioning as a person ages. Since the organs also undergo the process of normal wear and tear, they become more vulnerable to various diseases and illnesses. In fact, there has been senior citizens who became bedridden and eventually died only because of a supposedly minor injury. Be that as it may, studies conducted by experts have proven that these signs of aging can be mitigated through various methods, and the most effective method is through eating healthily. Everybody knows how nutritious fruits and vegetables are. Although apples and bananas are the most common fruits that you see in the market, you should not limit the fruits that you eat and diversify them. To maximize the vitamins you get from fruits, you have to include color-rich foods like melons, berries, oranges, plums, and many more.Meanwhile, when it comes to vegetables, you shall have a color code: eat dark and leafy greens as well as orange and yellow vegetables. You shall consume two or three servings of fruits and vegetables per day. Osteoporosis is among the top ten common health problems among the elderly for bones become fragile easier compared to other organs in the body. For this reason, doctors will always suggest their clients to start eating or drinking dairy or non-dairy products which are rich in calcium daily especially to those who have already reached the age of fifty.The recommended amount of calcium you should consume daily is at least 1, 200 mg. Calcium-rich dairy products include: yogurt, cheese, and milk. On the other hand, you can get the calcium you need from non-dairy products such as tofu, almonds and kale. Pasta, cereals and breads are always a part of our daily meals, but this type of foods which are readily available in the supermarket often contain unhealthy and over-processed white flour.So whenever you want to purchase them, you should get those which are made of whole grains. You will know whether they contain whole grain or not by looking at the list of its contents or ingredients listed usually at the back of the packaging. If you start revamping your diet at the age of sixty or seventy, it might no longer be as effective as when you do it early. 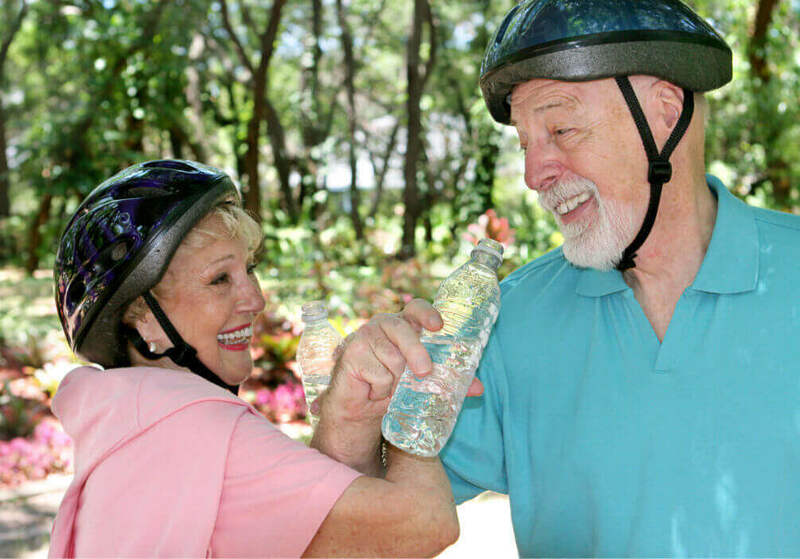 Therefore, if you want to be healthy at seventy, Bayou Home Care proposes that you start changing your diet at fifty. This entry was posted in Home Health Care and tagged home care, home care in louisiana, home health, respite care, senior care. Bookmark the permalink.